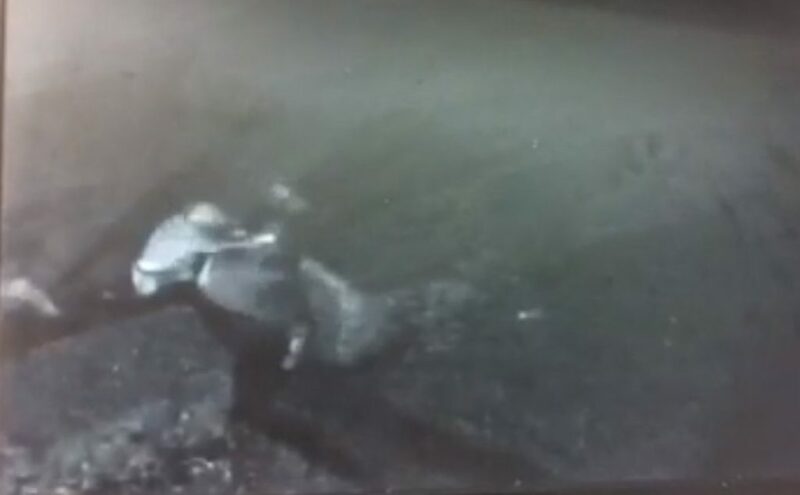 This shocking CCTV shows the moment a shopkeeper was mown down by a car as he tried to protect a 15-year-old boy who was being beaten up by thugs. Shocking CCTV shows the moment a shopkeeper was mown down by a car as he tried to protect a 15-year-old boy who was being beaten up by thugs. Brave Amandeep Cheema, 33, also known as Amo Singh, saw the teenager being dragged from a fish-and-chip shop and knocked to the ground by five men who pulled up in two cars. The have-a-go-hero grabbed a baseball bat and ran out of his newsagents to try to rescue the lad. But a gang member drove a car straight at him, knocking him unconscious, and then reversed over his body. Footage showed the car driven by Benjamin Strange 21, of Wotton-under-Edge, Glos., flipping Mr Cheema’s body onto the bonnet before reversing over him. 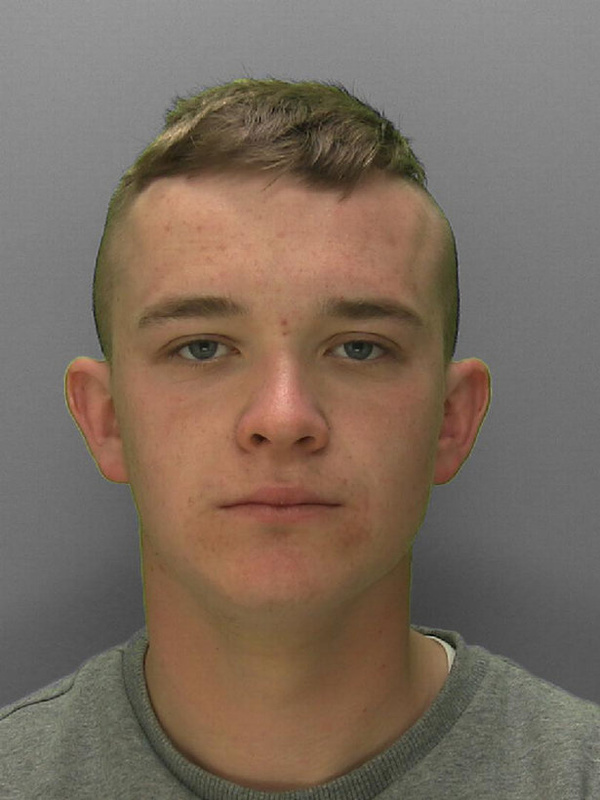 Another man, Stephen Randlesome, 19, of Eastington, Glos., kicked Mr Cheema as he lay defenceless on the ground. During the attack, the shopkeeper suffered a fractured left wrist, and injuries to his head and thigh. 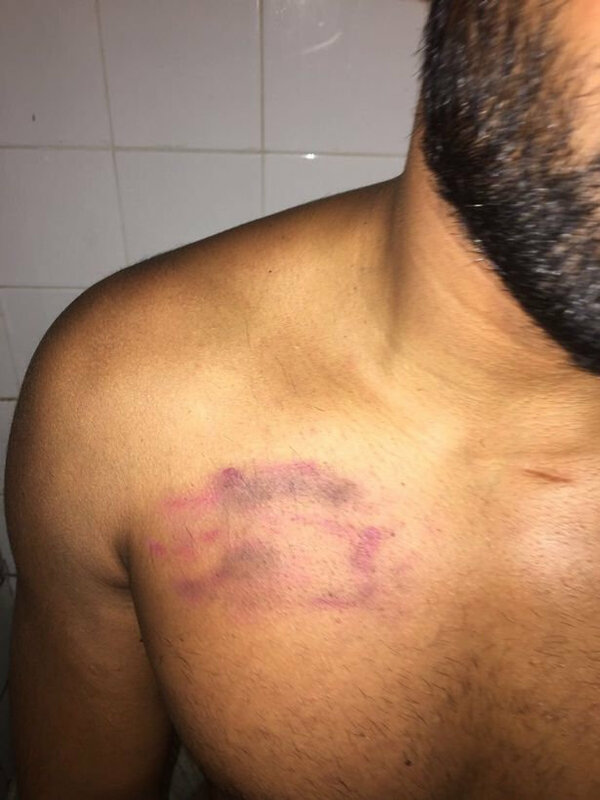 Amo Singh, 33, also known as Amandeep Cheema shows his injuries. 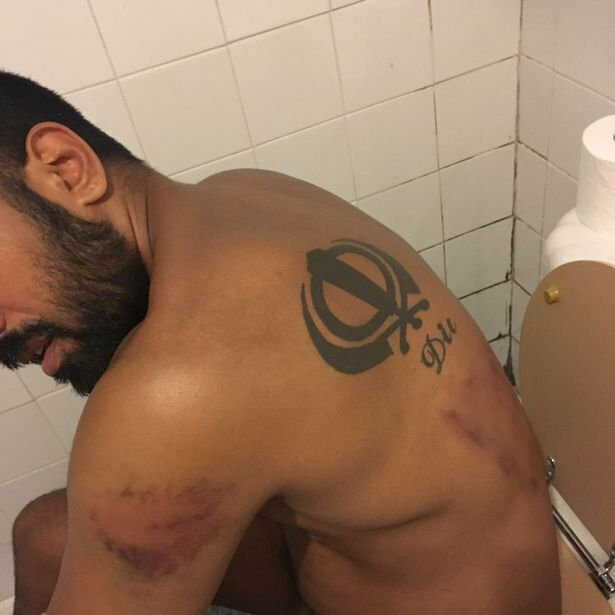 Photographs taken after the attack showed huge bruises on Mr Cheema’s body, and a judge said it was lucky the defendants did not face a murder or manslaughter charge. Randlesome owed a dealer £120, and the teenager had contacted him telling him to meet on March 23, on Cashes Green, Stroud, to pay back the cash. But instead, armed with a crowbar, he went to meet the lad accompanied by four other men, and headbutted the teen. His half-brother Jonathan French-Bell, 27, admitted affray and assaulting the boy causing actual bodily harm. Strange was jailed for 30 months and banned from driving for two years, and both he and Randlesome admitted unlawfully wounding Mr Cheema. 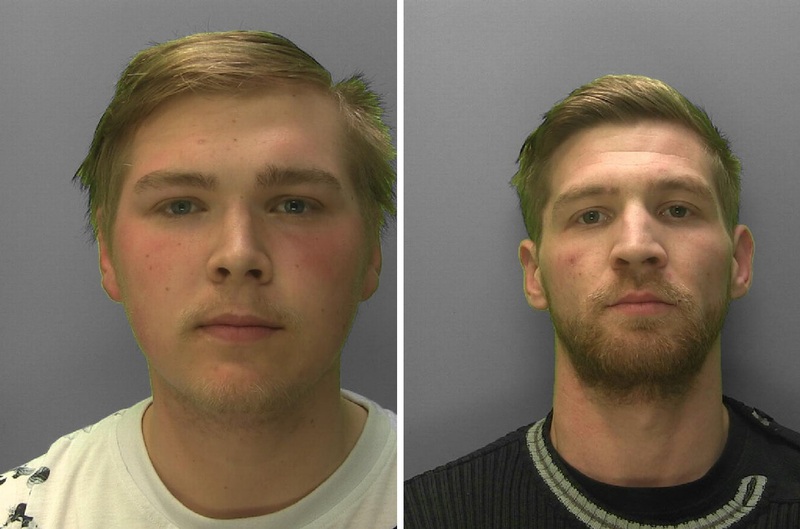 Two other men involved were never identified by police. A spokesman for Gloucestershire Constabulary said: “We understand this incident caused a lot of community concern at the time. “It is important to stress that the court case has confirmed it was not a race-related crime but an incident related to a criminal feud, as we originally indicated.